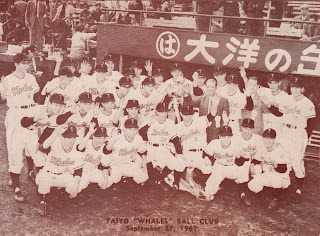 I'm going to Japan for the first time ever in March to see Pool One of the Second Round of the World Baseball Classic. I've been planning this trip for a couple of months, but it wasn't actually until today that all the pieces fell into place that are allowing me to do this. I booked my airfare, my hotel room and my WBC tickets this afternoon, so I'm all set. I think I'm equal parts excited and terrified to be doing this - I've never gone overseas before to a country where English wasn't the first language. I've already gotten a lot of great advice from Ryan on many things, including what card shops to go to. Deanna Rubin and Ralph Pearce have also passed along useful tips as well. 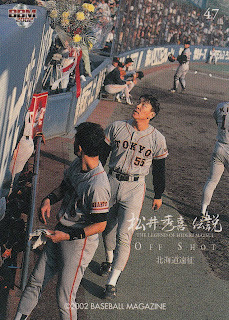 Beyond the WBC games, I'm also planning on seeing a couple open-sen games - a Marines-Lions game up at Seibu Dome and a Dragons-Baystars game down in Yokohama. 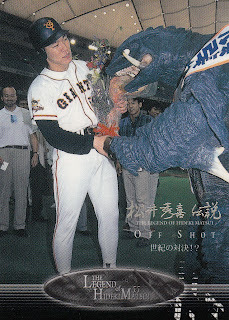 Since the Lions and the Dragons are my two favorite teams, I don't think that could have worked out much better. Two of the three guys on this card went on to play in Japan - Barfield played one season with Yomiuri in 1993, the year after Wells ended his career. The big news out of Japan last week was the trade between the Hokkaido Nippon Ham Fighters and the Orix Buffaloes that sent star outfielder Yoshio Itoi and 2006 Pacific League Rookie Of The Year Tomoya Yago to the Buffaloes for Hiroshi Kisanuki, Keiji Obiki and Shogo Akada. It has been speculated that the fact that earlier last week Itoi had requested that the Fighters post him probably factored into Nippon Ham's decision to trade him. It's a good thing the cards are still in the sheets - some of the cards only show a player's legs, belt buckle or upper arm - they only make sense in the full sheet. 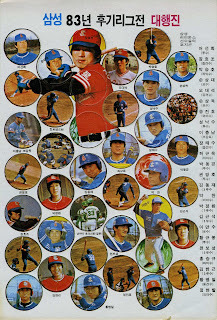 It looks like the cards are all of the Samsung Lions except for what I think is a card of Nankai Hawk player Yuji Kubodera. Neither Ralph or I have any idea why Kubodera has a card on the sheet, unless he was maybe of Korean descent but born in Japan (like Masaichi Kaneda and Isao Haritmoto). 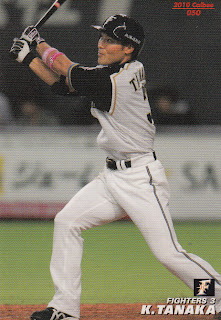 A couple of these showed up on the sleeve for the Haitai Tigers Teleca cards in 1993. It looks like this is to commemorate the Twins winning the KBO that year. 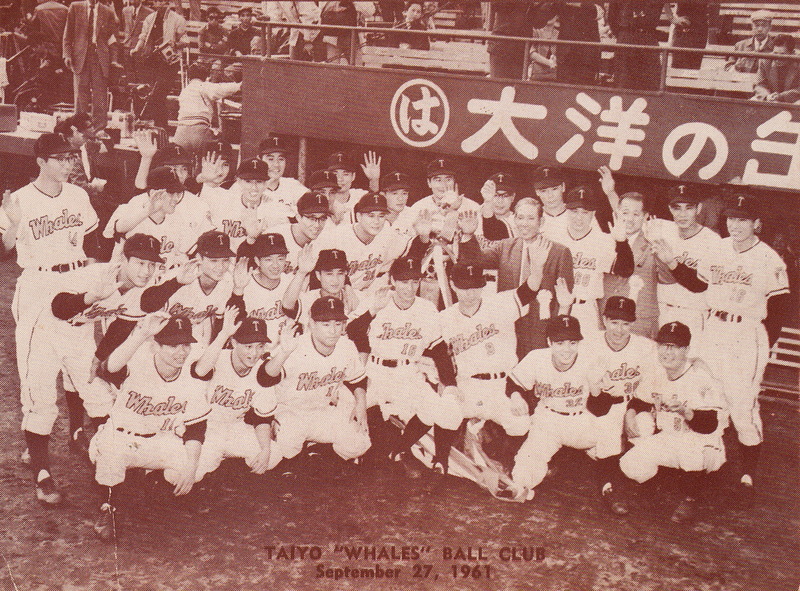 I have no idea who any of the players are. My thanks to Robert and Ralph for providing me with the scans. 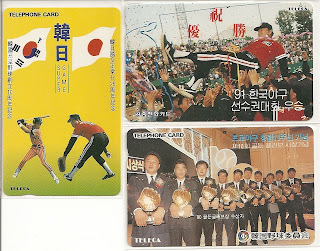 The LG Twins cards that Teleca produced in 1994 were different from their other KBO cards from that year. These cards were unnumbered (unless you count the uniform numbers) and had a front and back design that were used for no other team that year. 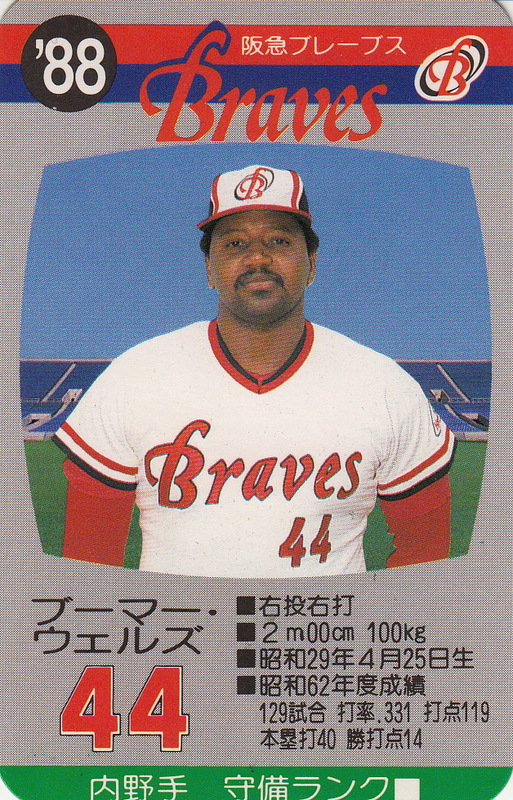 The backs were colorful, showing a full color team logo along with a yellow background on the player's statistics and a big light green square that I assume was meant for autographs. 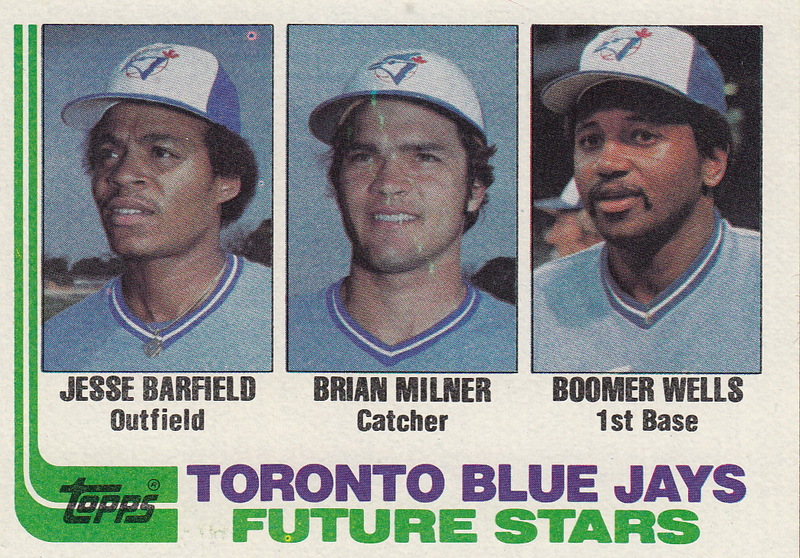 The cards were sold the same way as the other cards that year - in sleeves that were meant to be sold one card at a time. 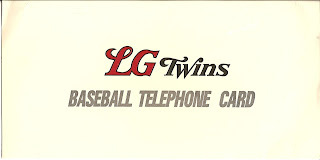 Here's the list of Twins cards, organized by uniform number along with links to their scans on Flickr. 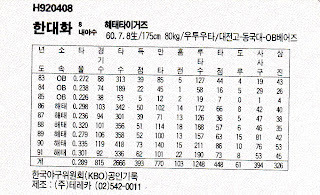 As before, all these scans were done by Robert Shadlow. There are two different sleeves that the cards came in. 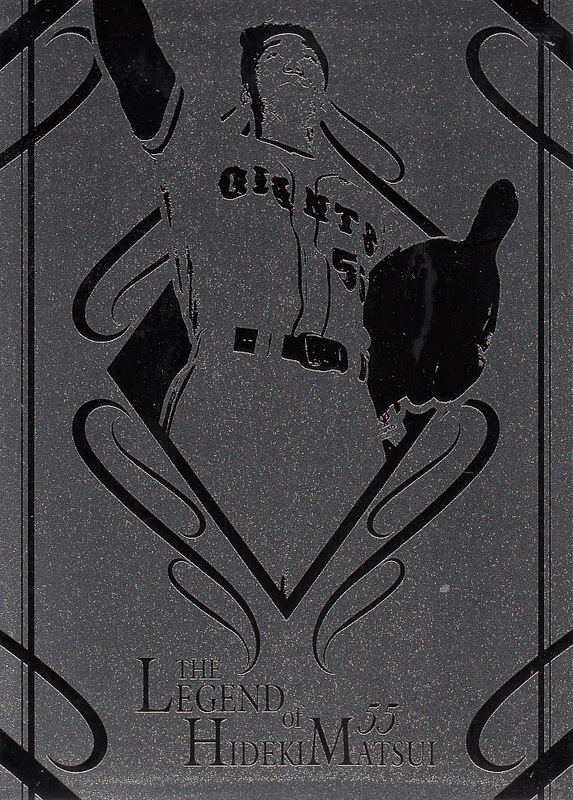 The first was the simple logo design with a mostly blank back, similar to the ones that the other team's cards came in. 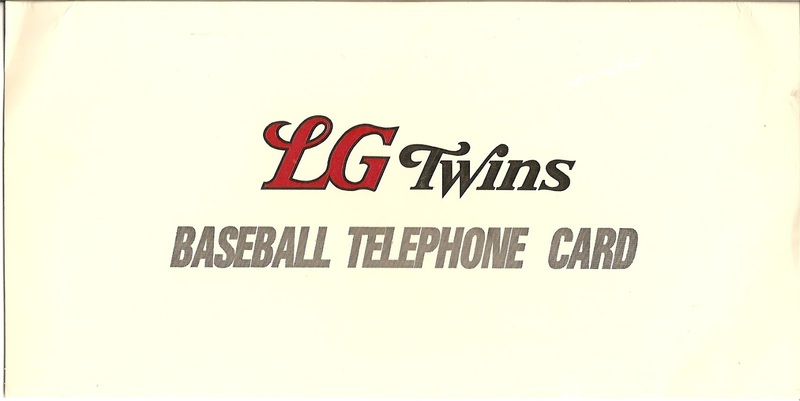 The other one showed what I think are three Teleca phone cards on the front and had the Twins' 1994 schedule on the back. 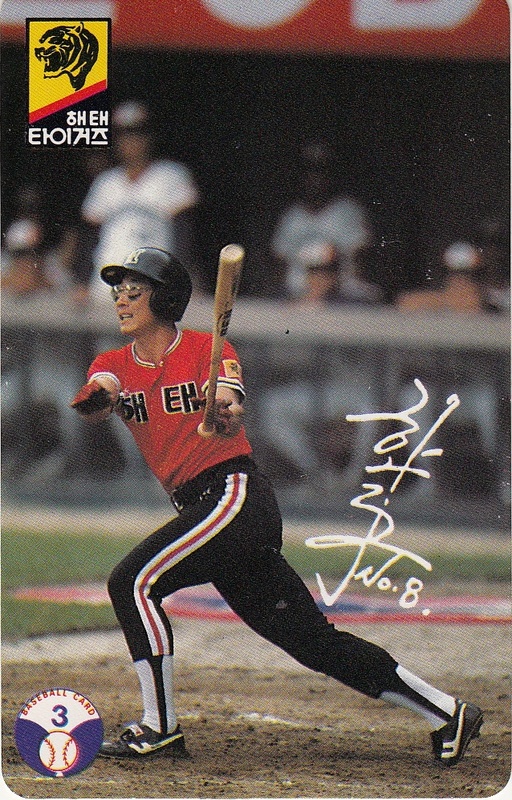 12/30/16 UPDATE - I just now realized that No Chan-Yeop wore number 30, not number 33. I've corrected the list but I didn't resort it. 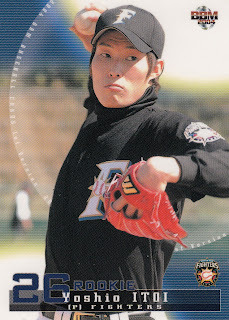 - Ryan of This Card Is Cool had a post up recently where he put up a card from Hiroshima Athlete Magazine's "Carp Starting Lineup" set. 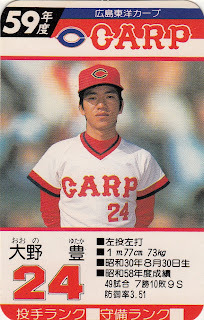 It's a 28 card boxed set (27 "regular" cards plus one "special" card) featuring (obviously) the Carp. I think this was released to celebrate the magazine's 10th Anniversary but I'm not sure - it looks like the set only has current players in it so it's not an "Anniversary" set in the manner that BBM has had anniversary sets. There are apparently possible autographed cards with the set. 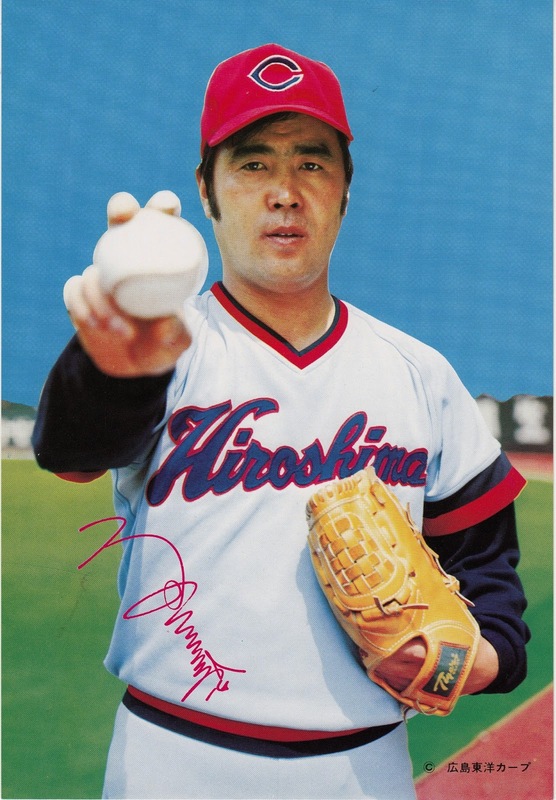 - Hiroshima Athlete Magazine will also be releasing another 28 card box set in April called something like "Carp Stars and Legends". 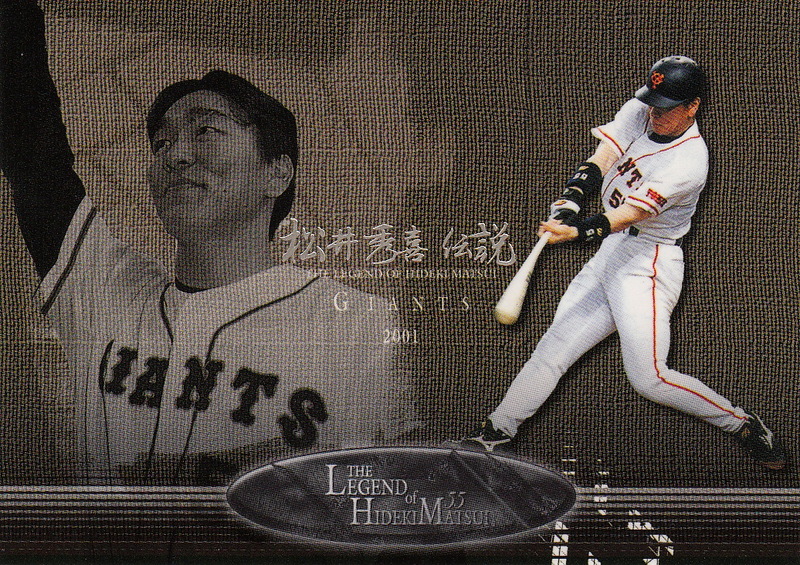 This set will feature both active and OB Carp players in it. It looks like again that there will be 27 "regular" cards plus one "special" card. I'm not positive but it may be the case that each set will contain an autograph card. 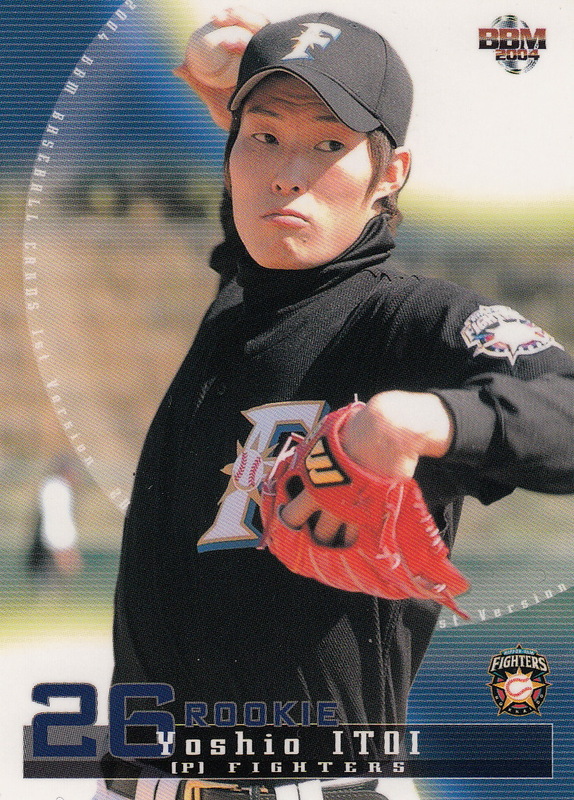 - In the same post that I mentioned before, Ryan pointed out that Sports Graphic Magazine will be releasing a set dedicated to Kenta Maeda of the Carp (we're just wallowing in Carp sets today). The set may actually have been released this past week. It's a box set containing 81 "regular" cards plus one (or more - not really sure) "special" cards which could include autograph or memorabilia cards. 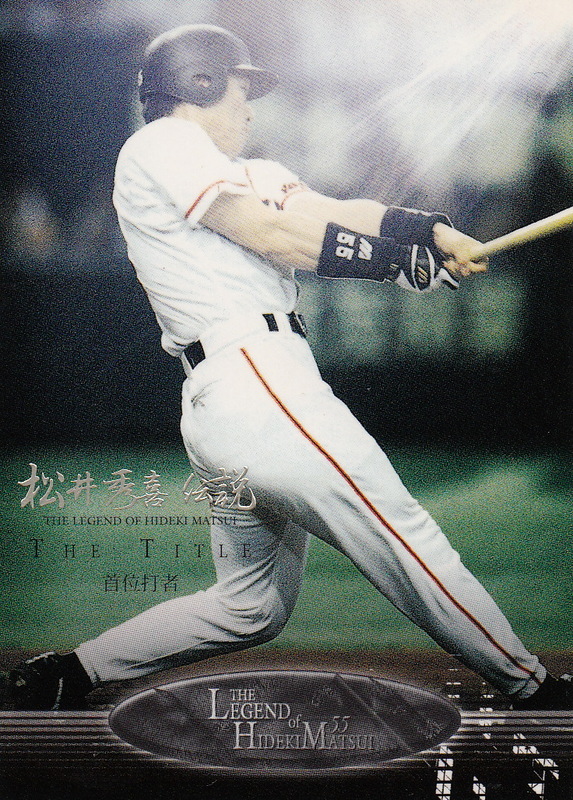 - Ryan also mentioned in that same post that the Japan Baseball Promotion Association (formerly known as the All Japan Baseball Foundation) was releasing "The History Of Best Nine Part Two" boxed set in late February (the 23rd). It's a 46 card box set (45 "regular" cards plus one autograph card) that follows up the "Part One" set they released in December. - I found some information online about a Saitama Seibu Lions "Rookies And Young Stars" box set. 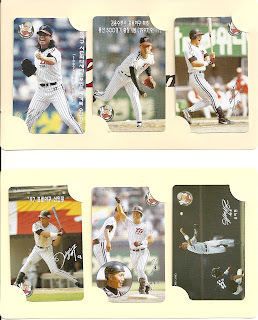 I'm not sure who is putting the set out, but it will contain 27 "regular" cards plus an autograph card. The set will be out in March. - Jamabalaya added scans this week for a set called something like "Sakura Meikyukai". 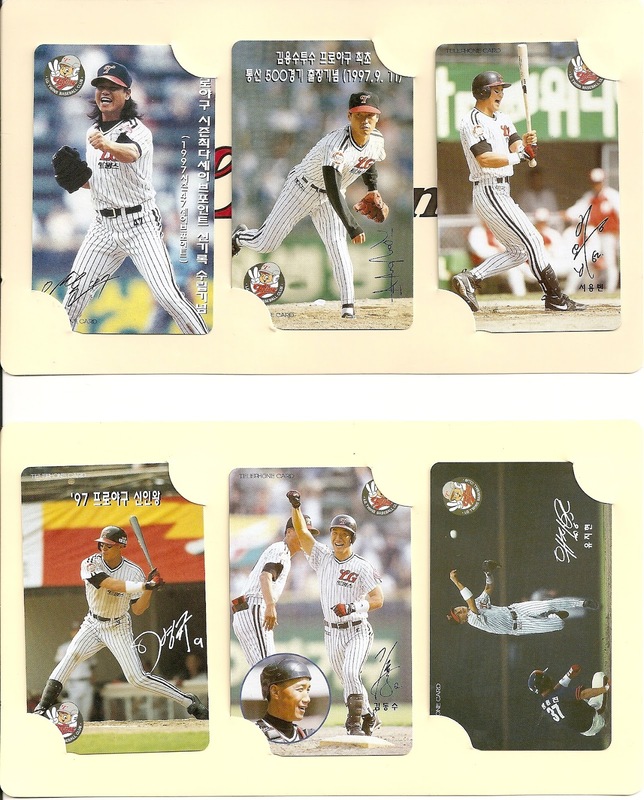 This is a 45 card set (I'm guessing it's probably a box set) featuring Meikyukai players. 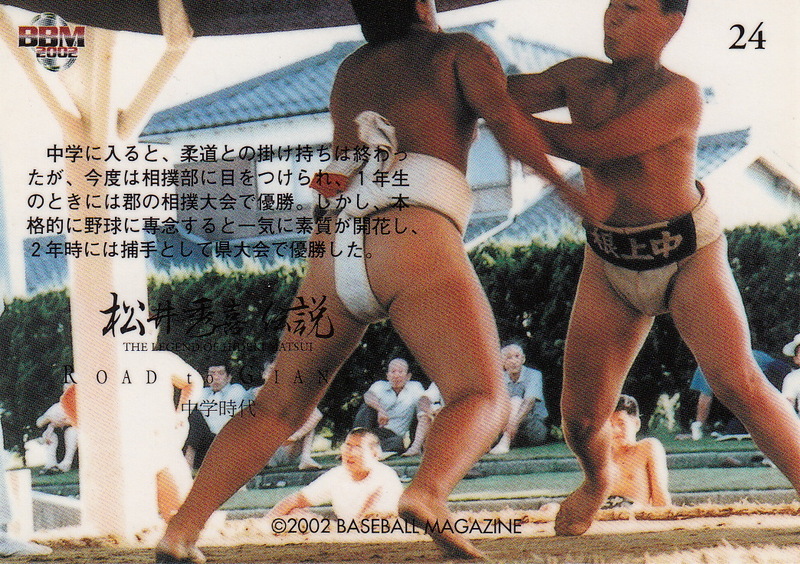 From looking at the list of Meikyukai players on their website (which oddly doesn't appear to list Masaichi Kaneda who founded it), I think there's 60 current members (including Kaneda). So there are 15 members who are not in the set. 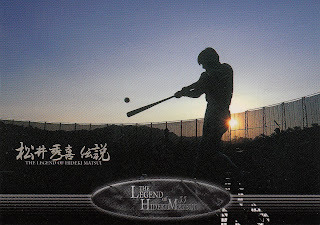 I didn't do a thorough look through, but it appears that only five active players are included - Michihiro Ogasawara, Tomonori Maeda, Hitoki Iwase, Kazuo Matsui and Masahiro Yamamoto, which leaves out Ichiro, Atsunori Inaba and Shinya Miyamoto. 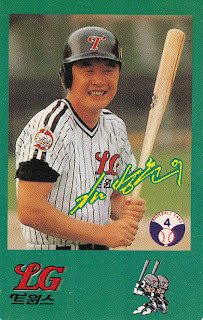 The recently retired Hideki Matsui, Takuro Ishii and Tomoaki Kanemoto are in the set, but Hiroki Kokubo is not. 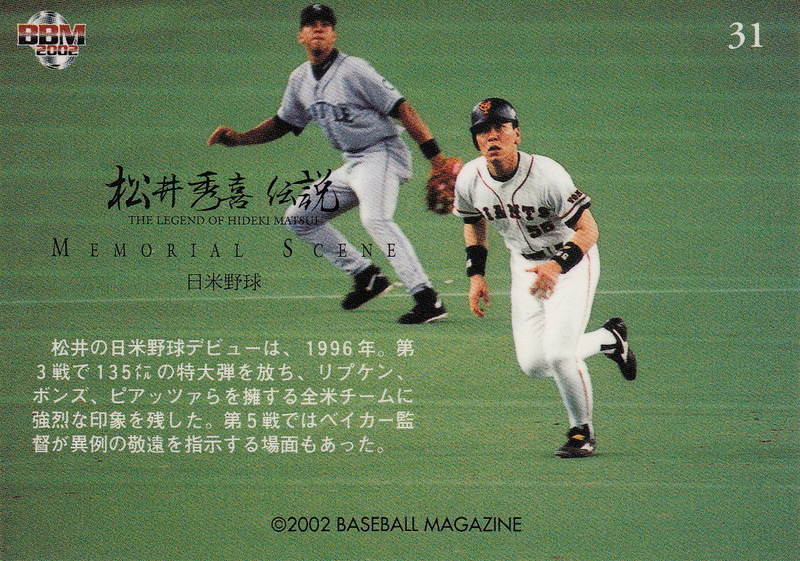 Others that I noticed missing were Kazuhiro Kiyohara, Kazuhiro Sasaki and Hideo Nomo. 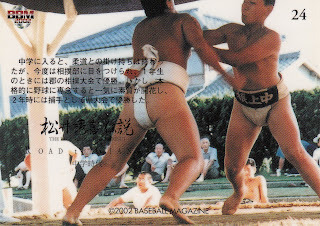 Choji Murata, who almost never shows up in an OB set, shows up in this one, but Masaichi Kaneda and Katsuya Nomura who also almost never show up in OB sets, are no shows in this one as well. I assume that "Sakura" is the company releasing the cards but I could be wrong. Just noticed something - my post about Hideki Matsui's cameo in a Godzilla movie went viral a couple weeks ago. OK, "viral" is a bit overstating it, but apparently it got noticed by some slightly more serious blogs. CBS Sport's Eye On Baseball picked up on it, posting an entry about the movie at 2:26 PM on January 3 (and they actually gave me credit with a link back to my post). A little less than two hours later, Yahoo! 's Big League Stew published a post about the movie. They credited the Eye On Baseball post with finding the cameo, although they actually quote my original post (but they didn't link to it!). At some later point on January 3, there was a post on Bleacher Report talking about the cameo. They credited the Yahoo! post as the source of the story. So while I would have appreciated a little more credit for it, I'm happy to know that I made a contribution to our national dialogue on sports, even if it was for only a minute or so (actually, probably just the 25 seconds that Matsui's cameo lasted). 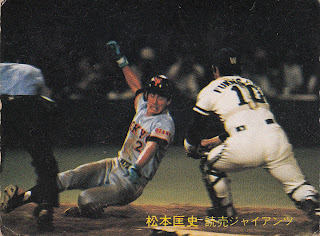 This 1981 Calbee card (#341) shows a play at the plate where Giants outfielder Tadashi Matsumoto is attempting to evade Whales catcher Hisaaki Fukushima and score. I wonder if he was safe or out? 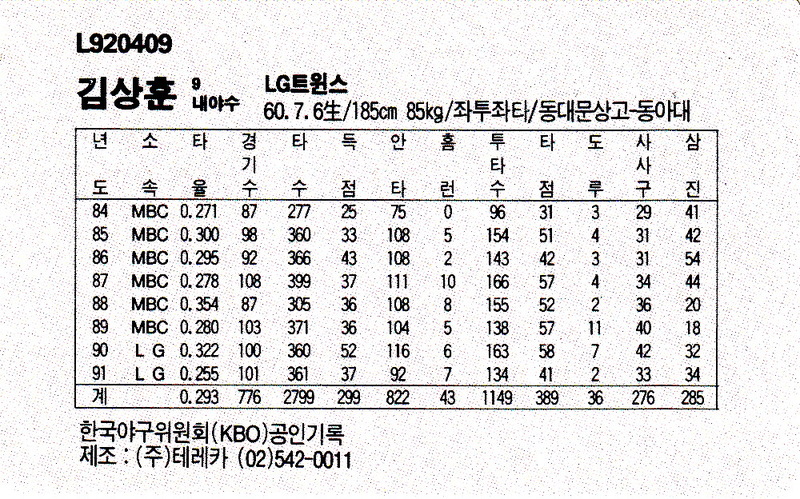 Continuing the list of the 1994 Teleca Korean cards that Robert Shadlow scanned for me, here's the list the for the Samsung Lions, the OB Bears and the Pacific Dolphins. 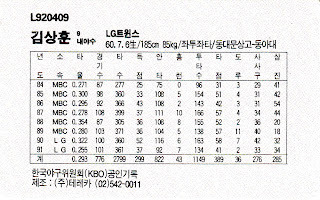 (OK, actually this is the list for the cards Robert has between #37 - #71 - there are some gaps in the numbering and card #65 is actually a Lotte Giant. 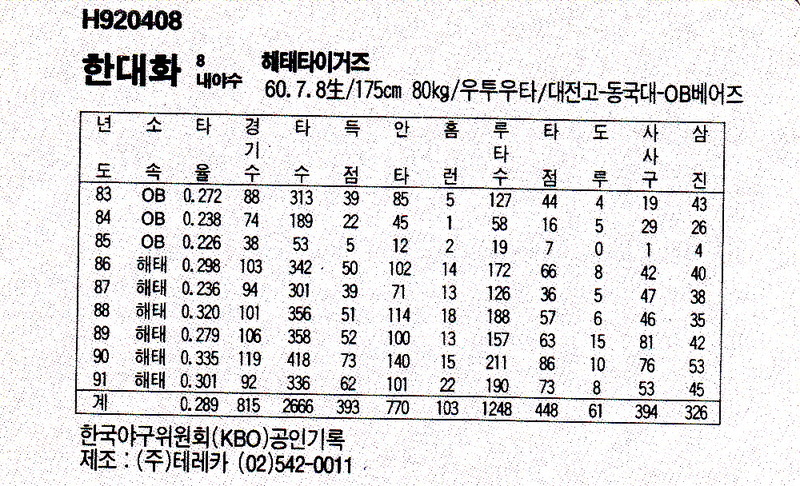 It looks like it's celebrating Yoon Hak-kil's 100th win maybe. The card is using the same photo as his regular card - #32). 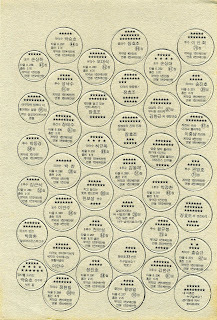 I have scans of empty sleeves for the Lions (one horizontal and one vertical), the Bears and the Dolphins. 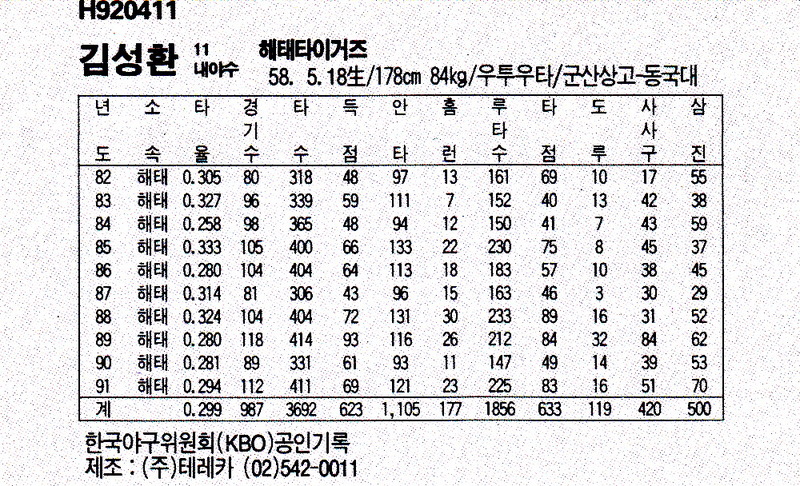 I'm a little curious if the gap in card numbers between #56 and #64 is where the cards for the one unaccounted for team, the Ssangbangwool Raiders, are. I want to continue to post about the Teleca cards that Robert Shadlow scanned for me a couple months back. 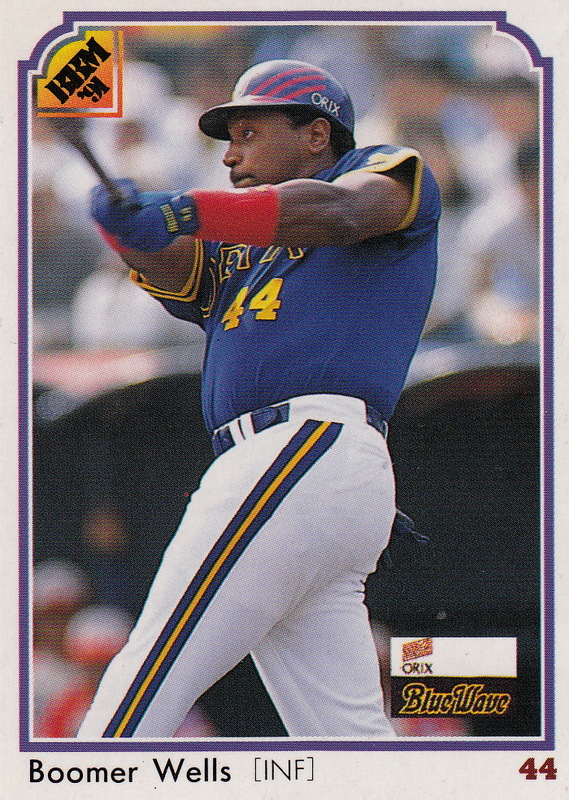 I covered the 1993 cards a little while back so I thought I'd start on the 1994 ones here. Like the 1993 cards, the 1994 Teleca cards are phone card size and shaped and appear to have been sold one card at a time. 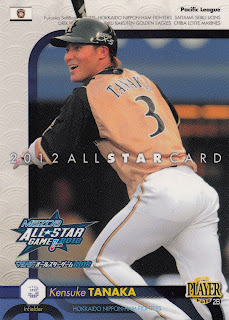 Each card was inserted into a sleeve that had the team's logo on it. 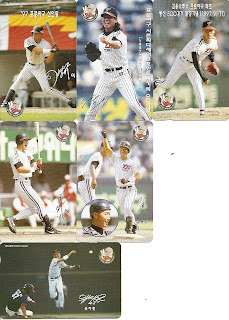 There appear to be two distinctive Teleca issues in 1994 - the LG Twins set and everybody else. I'll post about the Twins set later. 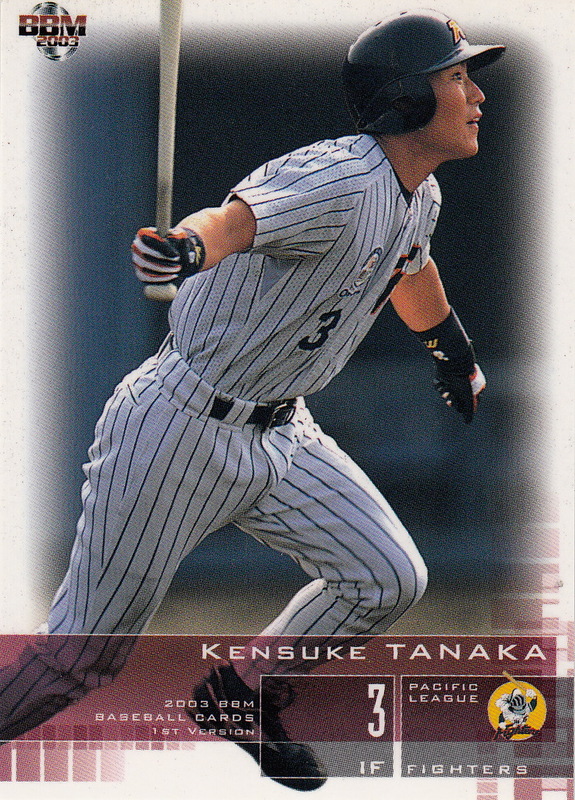 I'll start talking about the "everybody else" cards here. The numbering of the 1994 Teleca cards starts at 13 (apparently starting off where the 1993 set left off but that's complete conjecture) and goes to at least 71, meaning there's at least 59 cards in the set. 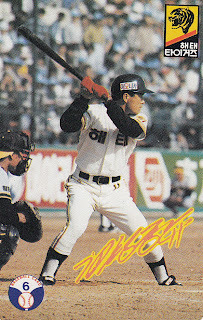 The set featured cards for six of the eight teams in the league - the Haitai Tigers, the Hanwha Eagles, the Lotte Giants, the OB Bears, the Pacific Dolphins and the Samsung Lions. 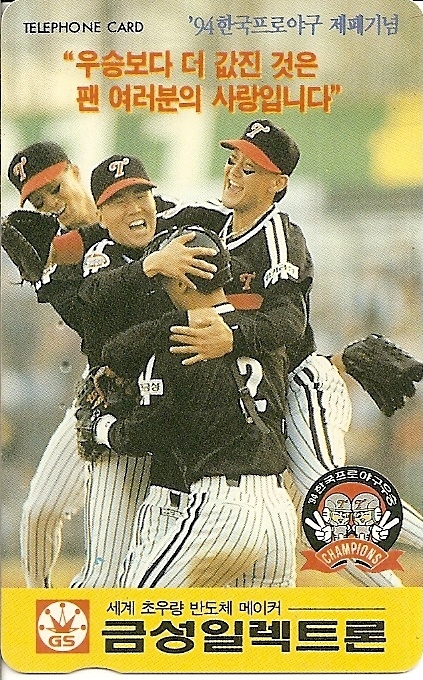 With the LG Twins being covered in the other 1994 Teleca issue, it appears that there are no cards of the eight team in the league, the Ssangbangwool Raiders. I've started loading Robert's scans into Flickr and setting up sets by team. So far I've got the Tigers, Eagles and Giants done so I'll list those cards here and do the rest in another post. 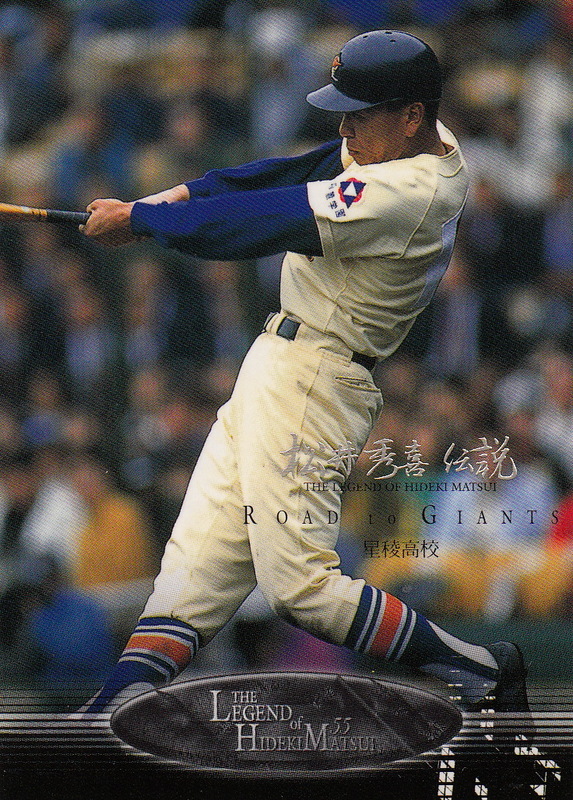 I also have scans for the empty sleeves for the Tigers, Eagles and Giants. 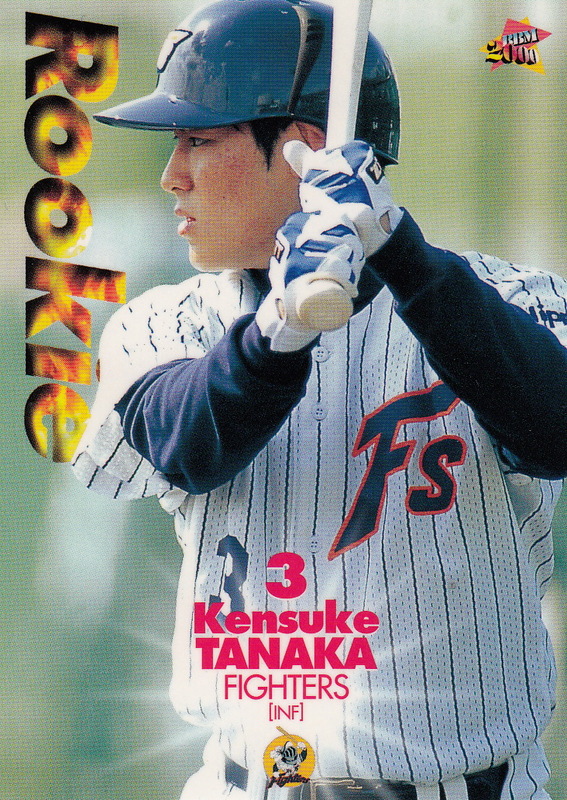 Last week former Hokkaido Nippon Han Fighter infielder Kensuke Tanaka signed a minor league deal with the San Francisco Giants. Tanaka was drafted by the Fighters in the second round of the 2000 draft and has played for them ever since. 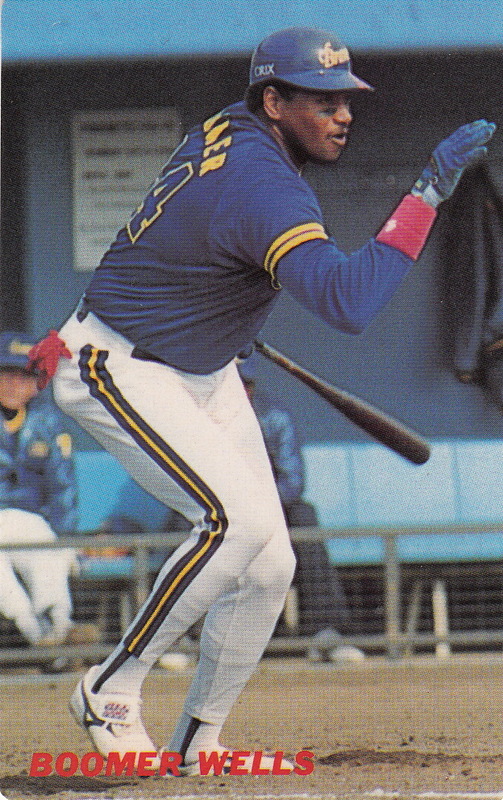 His BBM rookie card was #367 in the 2000 set. 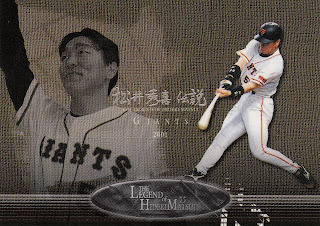 He did not have another card in a BBM "flagship" set again until 2003. 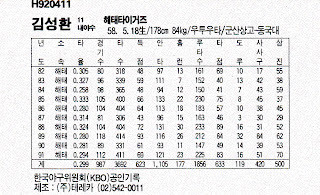 After appearing in 1st and 2nd Version in 2003 and 1st Version in 2004, he didn't appear in either 1st or 2nd Version in 2005 or 2006. Starting in 2007, he's been a staple of both the 1st and 2nd Versions. 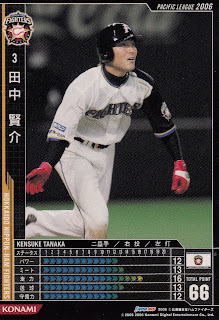 He appears in BBM Nippon Series sets for the 2006, 2007, 2009 and 2012 Series and the BBM All Star sets in 2008, 2010, and 2012. 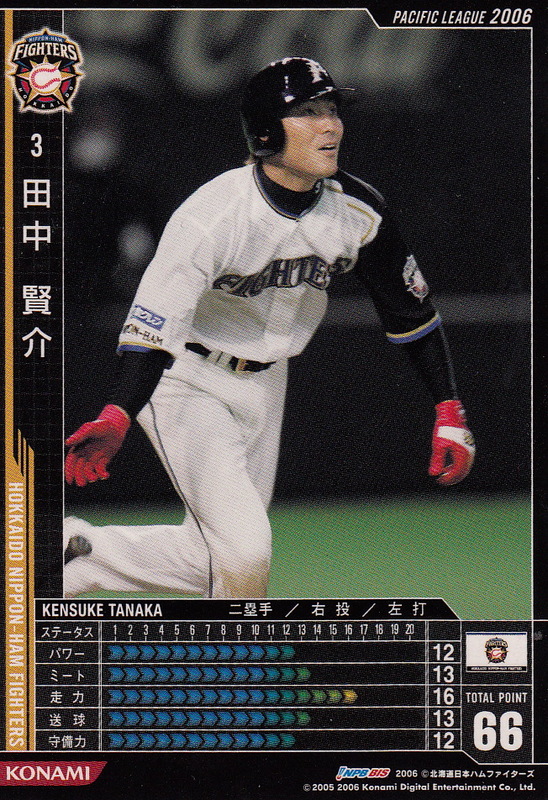 His first Calbee card appears to be #226 in the 2006 set. He also appeared in the 2000 Upper Deck Ovation set's "Rising Stars" serially number insert set (#19). As always, this is just some of the highlights - check out the Inventory Manager over at SportsCardForum.com for a much more complete list. 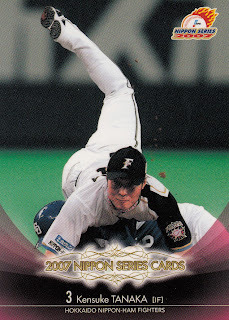 UPDATE - I was incorrect - he did not appear in the 2012 Nippon Series due to injury so he does not appear in the 2012 BBM Nippon Series set. 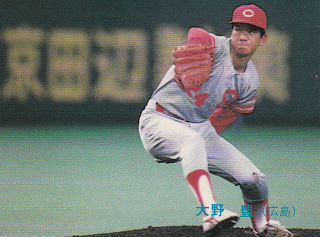 A year after electing two former Hiroshima Toyo Carp pitchers to the Hall Of Fame, the voters have again elected two former Carp pitchers to the Hall Of Fame - Yoshiro Sotokoba and Yutaka Ono. 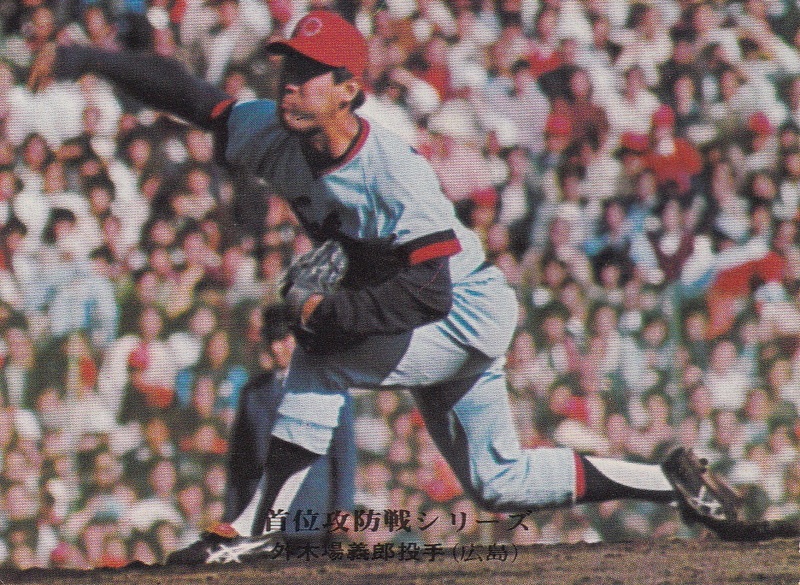 Sotokoba pitched for the Carp for 15 seasons from 1965 to 1979. He threw three no hitters (including one perfect game) in his career, which ties him with Eiji Sawamura for most in Japanese baseball history. 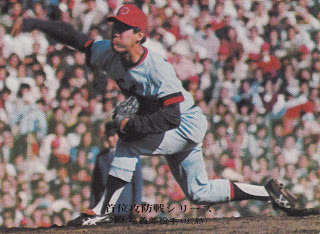 Sotokoba actually had a losing record for his career (131-138) due to having pitched his first nine years or so with some truly bad Carp teams. 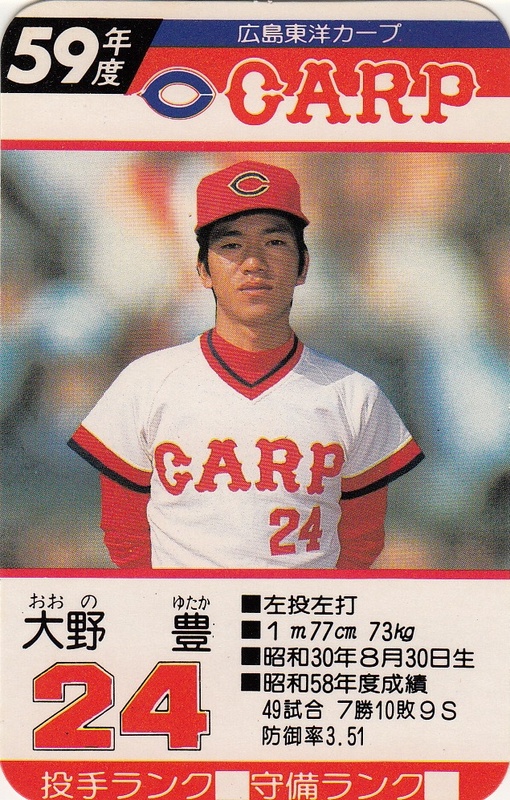 Ono pitched 22 years for the Carp (1977-1998). He alternated between starting and relieving throughout his career. 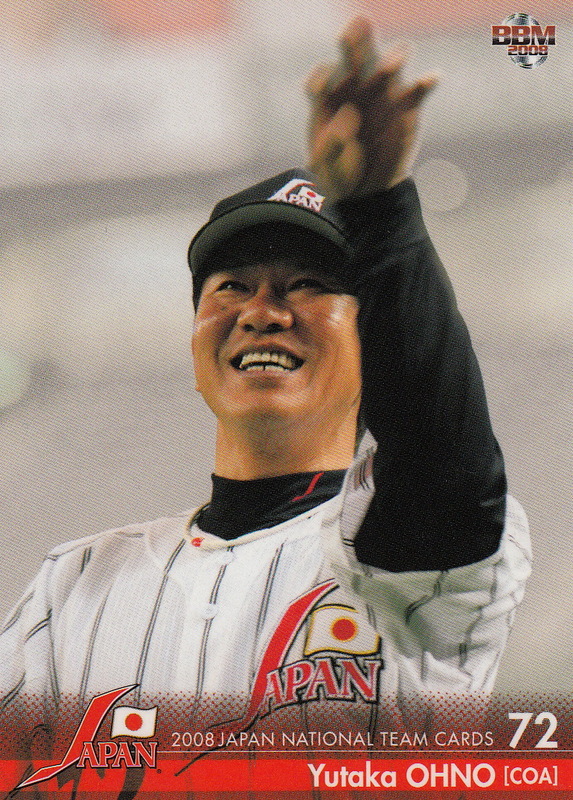 In recent years, he has been a pitching coach for the Japanese National Team at several international tournaments. 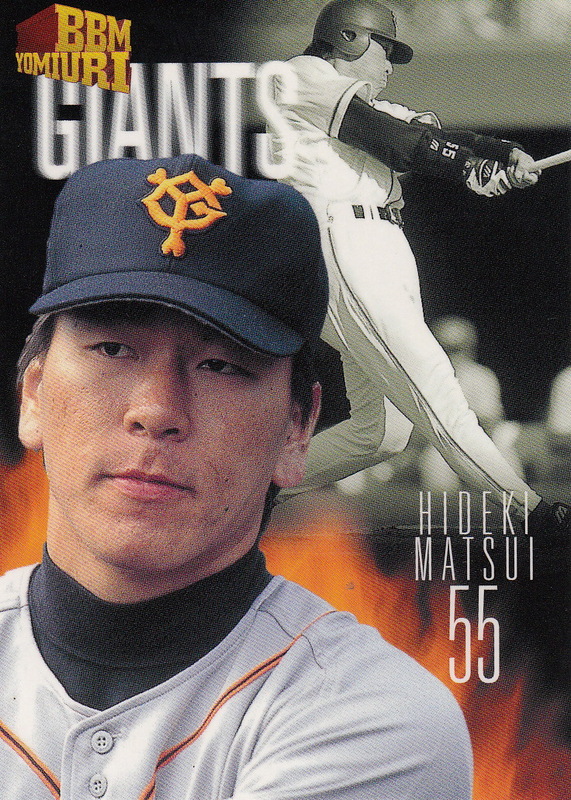 As Hideki Matsui prepared to leave Japan for the US following the 2002 season, BBM decided to put out a 55 card box set highlighting his Japanese career. The set was called "The Legend Of Hideki Matsui" and it was packaged in a box designed to look like a leather bound book. Each box contains 54 "regular" card plus 1 special card. The special card could potentially be a game used bat card, a game used jersey card, a game used bat and jersey card, an autograph card, one of two different gold baseball cards or one of six different silver baseball cards. 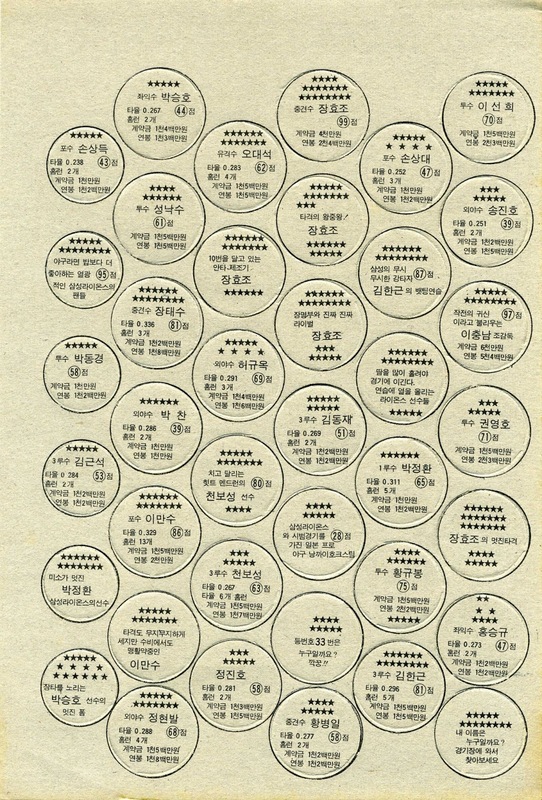 The 54 "regular" cards were broken into seven subsets. 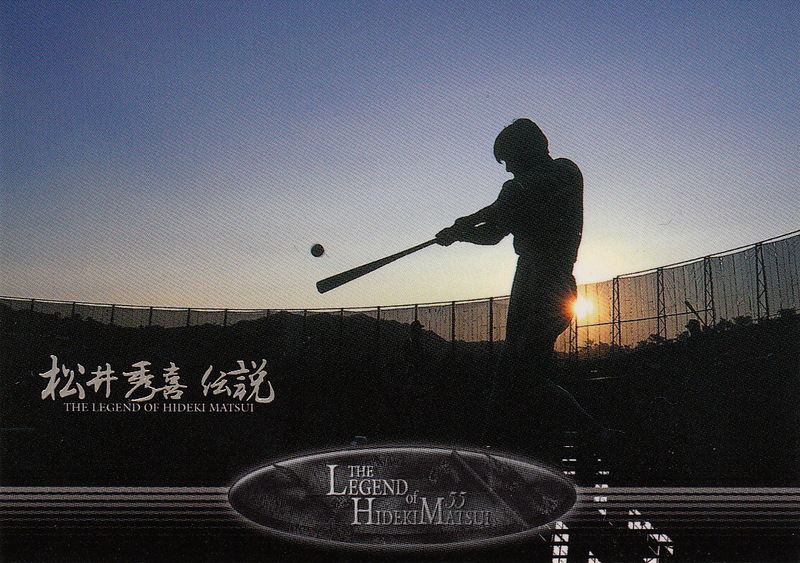 The first was 11 cards simply called "The Legend Of Hideki Matsui". These cards simply had photos of Matsui on each side. The pictures on the front and backs of the cards didn't necessarily have anything to do with each other. 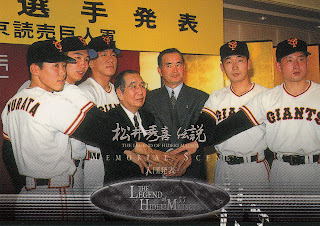 The second subset was entitled "Giants 1993-2002". 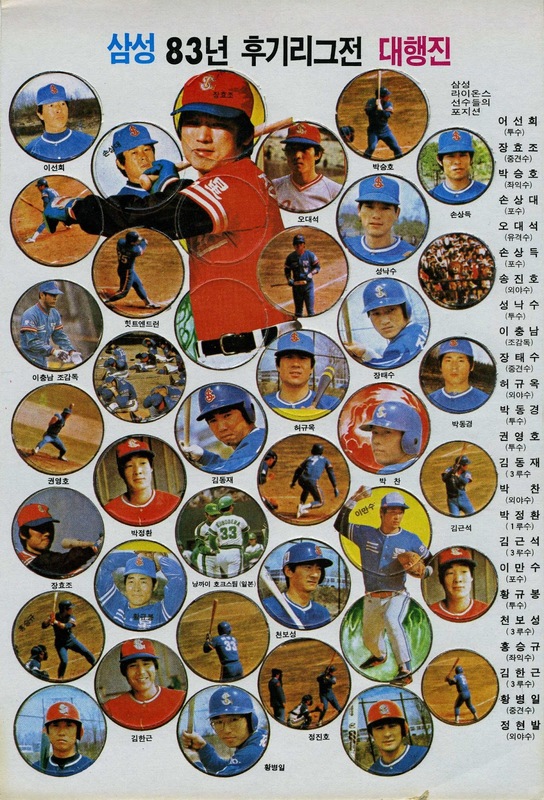 These 10 cards commemorate each year he spent with Yomiuri. I think this is the weakest subset in the set myself. 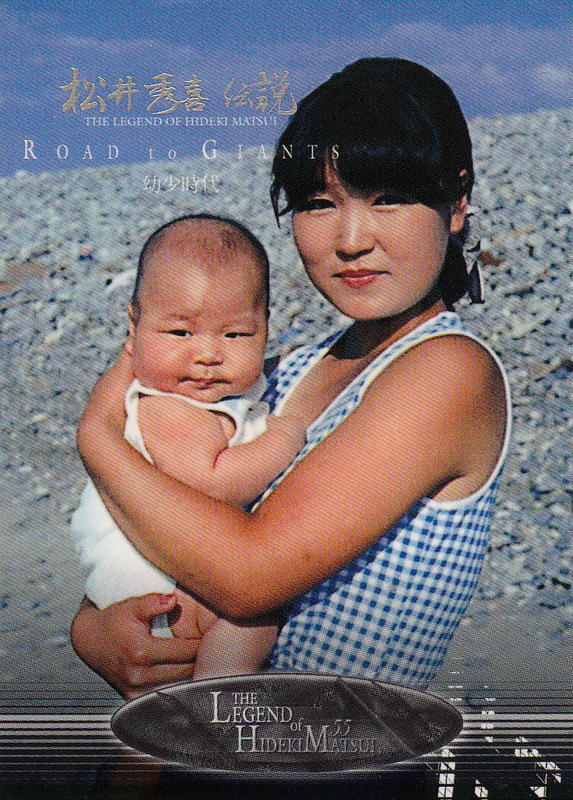 The next subset is "Road To Giants" and features family photos from when he was growing up. I have a feeling that he wouldn't be thanking his family for making some of these pictures on these five cards available. 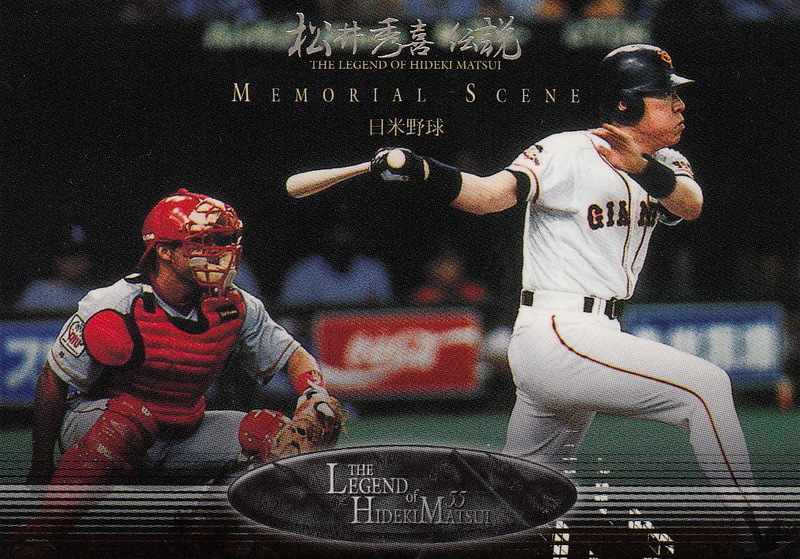 Next up, a 10 card "Memorial Scene" subset showing some highlights from his career. 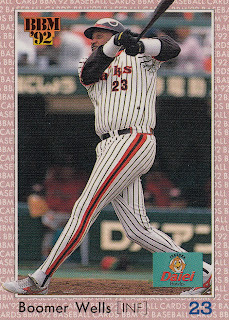 Card #31 stands out as it shows him playing in the 1996 MLB All Star Japan tour. I'm not sure who the catcher is on the front of the card, but I'm pretty confident that the guy on the back of the card is his future Yankee teammate Alex Rodriquez. * In case you're wondering, the remainder of the Giants 1993 draft class was Ryuji Kimura, Tetsuhiro Monna, Yoshinori Murata and Kazutaka Nishiyama. 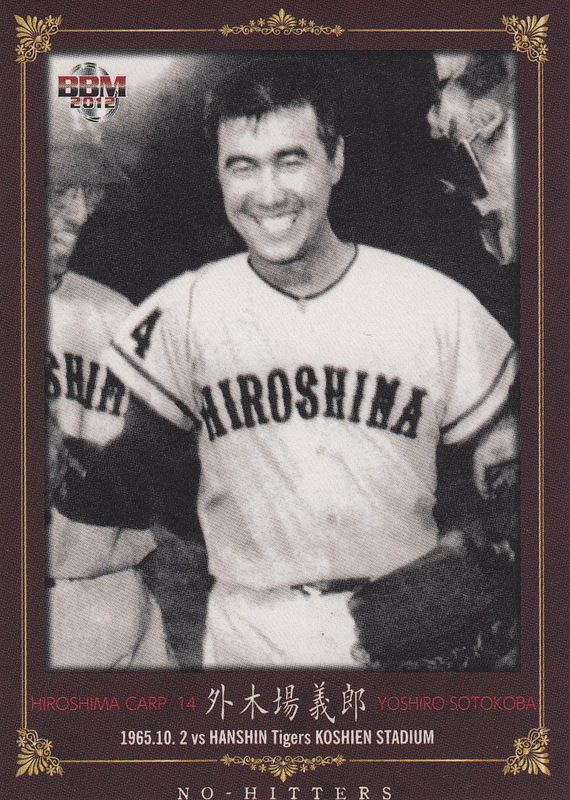 Why does Shigeo Nagashima look so shifty in this picture? The nine card "Off Shot" subset shows a bunch of candid photos. 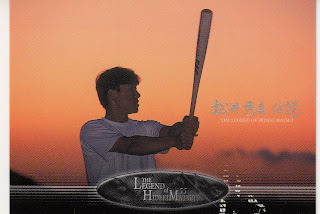 Like the "Legend" subset, the photos on the front and back of the cards don't necessarily have anything to do with each other. The box itself is a little pretentious, especially the text on the back of it: "The memory of his greatness comes flooding back to us as we close our eyes and let our minds drift through the timeless tunnel of the history. The man, who has had nothing but trials, continues to impress us with superb records. He is extraordinary and graceful indeed." I've picked up a couple of BBM's box sets that are dedicated to a single player. I think this is one of the better ones, despite the pretentiousness, due to the really impressive collection of photographs that BBM included.